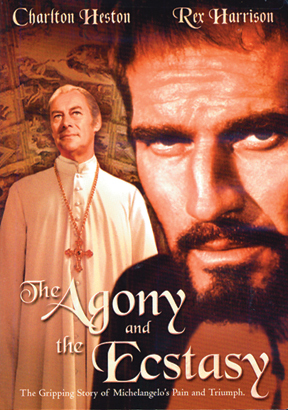 A powerful, historical drama set in the early 16th century. When Pope Julius II ( Rex Harrison ) commissions Michelangelo ( Charlton Heston ) to paint the ceiling of the Sistine Chapel, the project becomes a battle of wills fueled by artistic and temperamental differences. A rich and moving dramatization.